Start reading Looking For Alaska on your Kindle in under a minute. There will never be a book that touches my heart more or sticks with me longer than Looking for Alaska. It was the first John Green book I ever read, unlike most people who started with TFIOS, and will forever be the most important book I have read to date. It is difficult to summarise a story that runs so much deeper than what Green has written, with subtext being a large part of the emotional theme of the book, so all I will say is that I truly recommend it. 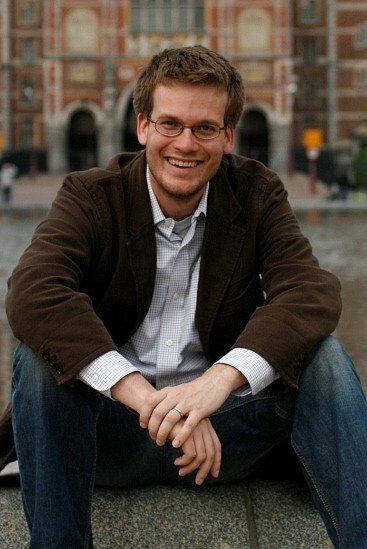 One of the (many) things I love about John Green's books is the realness of the characters and not necessarily the relatable nature of their situation but more the fact that it could be possible to relate to them in different circumstances, unlike the characters in other books who are 'normal teenagers' who are also shadow hunters or fighting a dystopian regime or who have a completely improbable and almost impossible love story with the perfect other half. 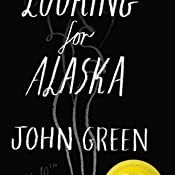 Looking for Alaska embraces the normalcy of teenage life, where the adventure doesn't come from life itself but instead from the people in it; in the case of this particular book, an adventurous and daring girl called Alaska Young. EDIT, Jan 2017: I recently purchased the 10th Anniversary edition as a gift for myself, and I cannot recommend it enough. The additional notes from John in the back of the book are amazingly insightful, and a wonderful edition for anyone who feels attached to the book. 2.0 out of 5 starsWhat a disappointment! Having just read - and loved - The Fault in our Stars, I made the classic mistake of expecting to enjoy the author's other novels just as much. But what a disappointment. This short novel, about a group of teenagers at boarding school, is divided into two halves; the first, measured in days before a pivotal event (no details to avoid spoilers), and the second in the days following it. The group are very much into practical jokes, which feature prominently in the plot (and are pretty far-fetched, especially the-near drowning of one character). The story is told in the first person by Miles (aka "Pudge"), who like some of his colleagues is obsessed with the beautiful and enigmatic girl Alaska of the title. What happens to Alaska is central to the plot. I found this novel slow-moving and unconvincing, and while it is well-written, it didn't hold my attention. The behaviour of the students seemed unlikely, and the plot thin. I believe the book was aimed at teens upwards, but I'm afraid I wouldn't really recommend it to anyone. 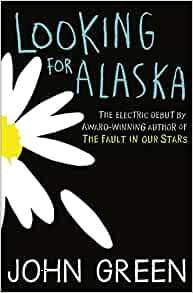 Looking for Alaska is the most beautiful yet heartbreaking book I have ever read. On average I read one book per day, but I had finished this one in just under 4 hours. Right from the first chapter I was hooked - hook, line and sinker. I unknowingly strapped myself in for one hell of a ride when I flipped over the cover. My eyes couldn’t read fast enough, I was craving more and more and by god did John Green provide. I have never felt so captivated and emotionally invested in a book before. In all my hundreds upon hundreds of books I’ve never experienced what I did reading this one. I have purposely not mentioned anything that happens in the book, for I would not want to ruin it for anyone looking to read it. As a rule I only read a book once, never more. However, this one will keep a special place on my bookshelf and I will reach for it time and time again. I’ll say no more, but whatever you do - buy it right now and read it! This is the second book of John Green's that I've read, and I thoroughly enjoyed it. This is an author who isn't afraid of the tough stuff. We have teenage sexuality, drinking, pranking and death. I love the layout of the story, which is broken into two parts: Before ... and ... after. It's always nice to come across a good book that I read just-for-fun and enjoy, given that I read so much for review and have to wade through some stinkers. I think Mr Green would have to go a long way off track for me to avoid purchasing more of his books. I only got this book because it was a goodreads book club reading choice but boy am I glad I did because it was a thoroughly enjoyable and entertaining book. The book is about a young boy named Miles who attends a boarding school & it follows him from his first day at the School "Culver Creek" through his first year at the school. The way John Greene describes Miles' trials and tribulations at the school along with his love for friend & class mate Alaska Young and his developing friendships with fellow class mates Chip "the colonel" Martin (room mate) & Takumi Hikohito is fantastic and makes you want to keep reading the book.